TrackRoad.com can import your optimized route directly into Garmin nuvi without the help of any other software. 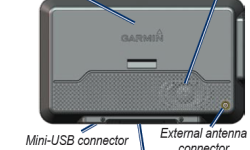 In this example, we will use Garmin nuvi 760 but this should work on any gps device that supports GPX file format. Please note that some older model Garmins may not support importing of GPX files. Please check owner's manual when purchasing the unit. Connect the mini-USB connector to the bottom of the nuvi. Connect the larger end of the cable to an available USB port on your computer. Your nuvi and SD card appear as removable drives in My Computer on Windows computers and as mounted voulmes on Mac computers. Uncheck both "Include Maps" and "Include Directions". Directions will be provided by the Garmin and unchecking these options will make generating route alot faster. 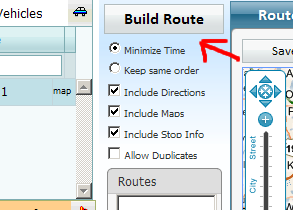 Click the "Build Route" button. Please remember that the number of stops that can be imported maybe limited by your gps device. Assuming that you have built your route in TrackRoad.com, go to the Get Directions tab. 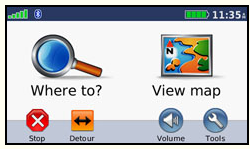 Then click the "Garmin" button on the right. A dialog box opens, cick the "Save" button. 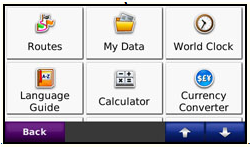 Browse to and open the Garmin or SD card drive/volume. 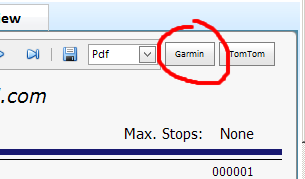 Open the Garmin folder and then open the GPX folder. Click "Save" to save the "WayPoints.gpx" file. Unplug your nuvi from your computer. Start your Garmin, go to Tools, My Data. You should see "Import Route from File". Touch "Import Route from File" to use the route you imported. Go to "Where to" in your Garmin and select the route you just imported.